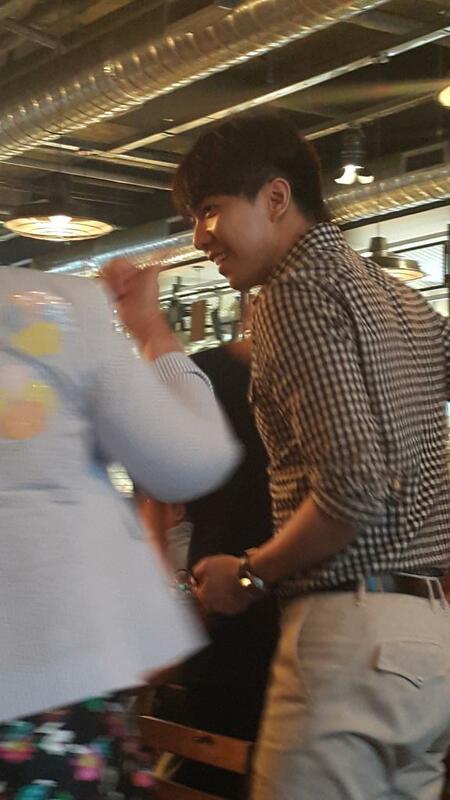 Someone just tweeted a Lee Seung Gi sighting at 3rd Street Butchers in Hongdae less than 15 minutes ago, around 7:30pm KST. He was last spotted there on June 4th with Lee Seo Jin, Lee Sun Hee, and several prominent celebrities at the grand opening of the restaurant owned by YG Entertainment CEO, Yang Hyun Suk. Categories: fanpic, Photos, sighting, translation | Tags: 3rd Street Butchers, fanpic, hongdae, photo, sighting, YG | Permalink.